Is this the most expensive petrol in the country? 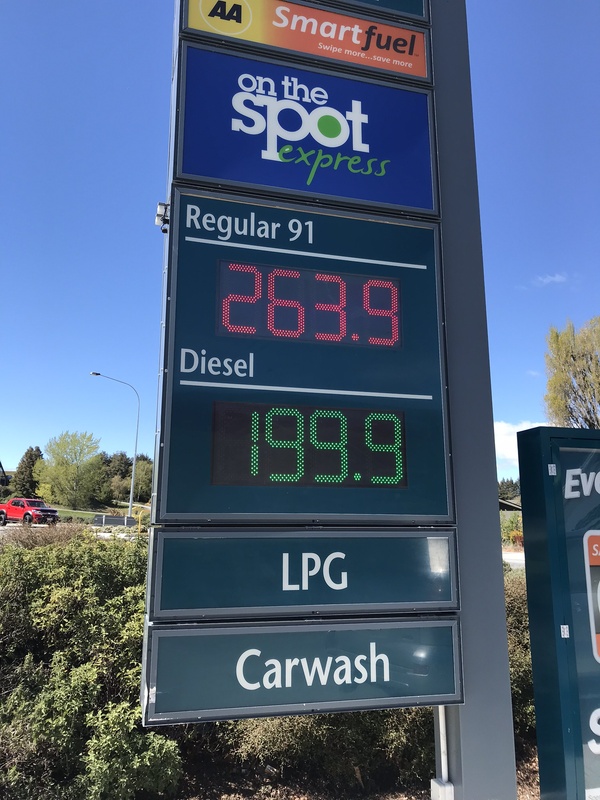 Regular petrol in Wanaka yesterday cost $2.639, premium was more than $3 and diesel was $1.999. The lower value of the New Zealand dollar is contributing to the rising price, but so too is the government’s new fuel tax. It’s supposed to be levied only in Auckland but it’s appears to be spreading throughout the country. And whether or not the tax is spreading north and south of Auckland, the pain of higher fuel prices is being felt nationwide. All goods and services have a transport component, when the price of fuel increases, it put pressures on every single thing that is transported. And the virtue signalling about the environment is cold comfort for those of us who will rarely if ever use Auckland’s public transport and have no public transport available locally. This will be a tax too far for many people. A government that talks about caring about child poverty needs to act to reduce the costs their parents can’t avoid. 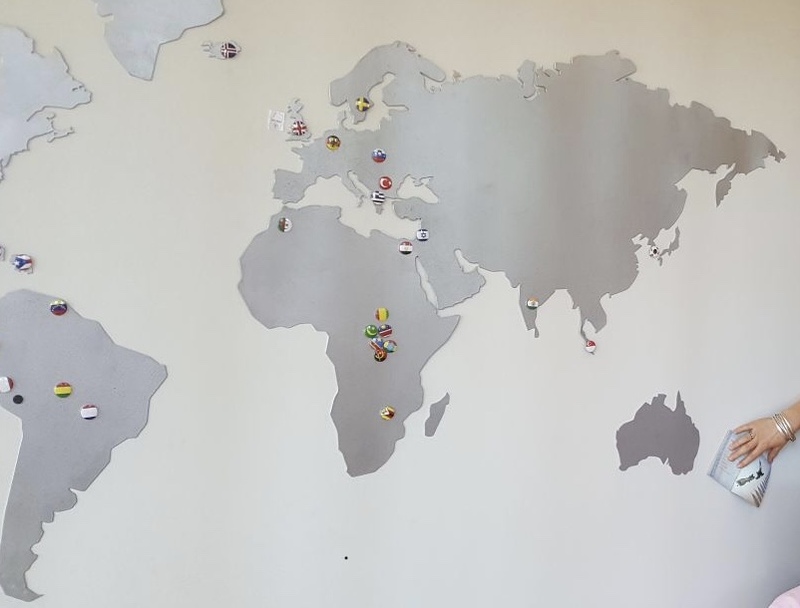 Who gets money from All Blacks’ tours? All Blacks’ fans will be paying a high price for World Cup tickets. Ticket prices for the All Blacks’ pool matches range between $536 for category A down to $134 for category D for the pool opener against South Africa, as well as the matches against Namibia and Italy. The contest against the repechage winner is slightly discounted at between $402 and $93. Category A tickets comprise the bulk of the main stands running pitchside, while category D is essentially immediately behind the in-goal area. The quarterfinals are priced the same as the All Blacks’ pool match against South Africa at between $536 and $134, while the semifinals will require you to fork out $938 for a category A tickets and the final $1340. . .
That final price tag is still less than we were quoted for tickets to the All Blacks vs Pumas in Argentina last year. The first quote came back at several thousands dollars including accommodation in a five-star hotel. We didn’t need five-star accommodation. The next price for a more modest hotel was still eye-watering. I suggested another hotel where someone in our group already had a booking so we knew the price. When we subtracted the hotel from the quote that came back we would still have been paying around $1500 for a ticket to the game. I gave up on trying to get tickets from New Zealand and asked an Argentinean friend to try for us. She got us good seats for less than $300 – around five times less than the lowest price we were offered through All Black tours in New Zealand. So who gets the difference between what the tickets cost and what fans are charged after costs and a reasonable profit are taken off? Travellers currently fill out a total of 6.5 million departure cards each year. But Customs Minister Meka Whaitiri said the cards are no longer needed to account for all people crossing the New Zealand border. She said they now have smarter systems which can identify information and travel movements electronically. “Information captured by the departure cards is now mainly used for statistical purposes,” Ms Whaitiri said. “Stats NZ has developed an alternative way to produce migration and tourism statistics, based on actual movements rather than passengers’ stated intentions on the departure cards.” . . The requirement to fill out cards will be end in November. The Government says it will save more than 100,000 hours of time and allow a faster and smoother process. Each time I’ve passed through the electronic passport control I’ve wondered why there is still a requirement to fill in a departure card. There isn’t any longer which will save travellers’ time and ought to also save the time and money that has been spent on processing them. When Rachel McQueen’s husband was training for a marathon, she noticed the smell emanating from his running clothes was much stronger and lingered longer in his polyester tops than if he had run in a merino wool top. McQueen, who has made it her mission to find the causes of perma-stink, conducted a study in which she compared the relationship between body odour and different fabrics. She had male volunteers wear test T-shirts, which had swatches of polyester, cotton and merino wool stitched to the underarm regions. They wore the shirts for two consecutive days and then the swatches were removed for testing. Smell tests using sensors were conducted on each fabric after one day, seven days and 28 days of storage. The chemical odour-binding sites within fibres are key in determining the stink level, so McQueen focused her attention on the chemical makeup of fibres and how it affects odour retention. She found that wool and cotton are hydrophilic and absorb more water than polyester. That means that if odour molecules are trapped within wool or cotton, we can’t smell them as readily as we can with polyester, which has fewer chemical odour-binding sites. Choose fabrics that have higher cotton or wool content. “People are generally attuned to their own body odour. If you’re concerned, go with natural fibres,” said McQueen. Wool went out of fashion, but the development of machine washable merino brought it back and its popularity has been enhanced by its environmental credentials. Concerns over tiny particles of plastic from synthetic clothing getting to the ocean in washing water is turning the tide back to natural fabrics. It’s a rare day when I don’t wear at least one layer of merino, it’s my preferred choice for exercising and I always wear it when travelling. It’s warm when it’s cold, cool when it’s hot and, as science has proved, it’s the best to beat the perma-stink. Queenstown Lakes is banning freedom campers from two areas after continuing problems with rubbish and human waste left behind. Announcing the measures yesterday, Queenstown Lakes Mayor Jim Boult said his council would take a harder line against illegal freedom camping in areas such as Wanaka’s lakefront. The measures, which will be put into place as soon as practicable, were a response to significant growth in freedom camping in the district this summer, Mr Boult said. Enforcement alone was not enough, and the council had resolved to “take a harder stand”. Parts of the district were also being used like a “giant toilet”. . . The council would also lobby the Government to put much more funding into building public toilet facilities, and providing more remote freedom camping sites throughout the district. Too few public facilities is a major contributor to the problem and small councils with lots of tourists don’t have the rating base to fund loos in all the places where they’re needed. The previous government introduced a fund councils could apply to for tourist infrastructure, much more is needed. He would also be talking to ministers about reviewing the low hurdle required for meeting “self-contained” criteria for toilets in vehicles. . . The only acceptable criteria for a ‘self-contained” toilet is those built-in ones in camper vans. Councils can fine people camping where they shouldn’t be, but only about 20% of fines issued to freedom campers in the Waitaki District have been paid. Fines totalling $17,000 were issued to freedom campers across the district. Of the infringement notices issued, each for $200, 15 ($3000) had been paid while 58 ($11,600) were outstanding. The solution to this would be to make vehicle owners responsible for any fines. That way rental companies would have to pay and then get the money from the people hiring from them which is, I think, what happens with parking fines. Another contributor to problems caused by careless campers is different rules from different councils in different areas. Careless campers are a country-wide problem that needs a country-wide solution. That will include more public facilities, clearer rules, and better education on what is and isn’t acceptable. Defecation in public is the norm in some countries, visitors must be left with no doubt that they can’t pooh in public places here.